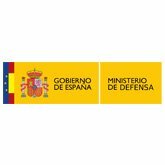 Ministry of Defense, Spain | Red Skios LTD.
Our specialised B.I. team in Malta provided facilities to solve customer issues and pro actively offered new product training which allowed them to better leverage their current B.I. systems. This service was offered as part of the IBM AVP service.